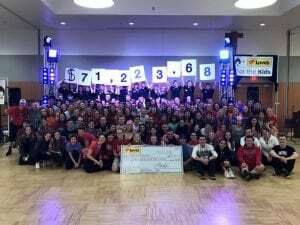 On April 7, 2018 hundreds of people flocked to the Hemmingson Ballroom at Gonzaga University for a night of bad dancing and saving lives. Zagathon is an 8-hour dance marathon that raises money for Sacred Heart Children’s Hospital. Formerly Gonzaga University Dance Marathon, newly re-branded Zagathon was founded in 2013 by student, Shelby Wells. 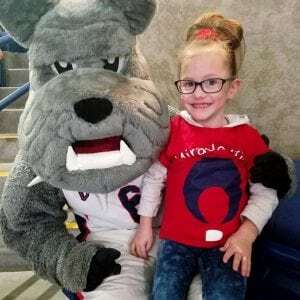 She had hopes of making a difference for the kids at Sacred Heart Children’s Hospital, raising $6,000 for the hospital in the first year. Since its humble beginnings, Zagathon ended 2018 fundraising at $71,223.68. 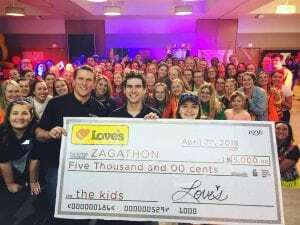 Through donations, fundraisers, kickback nights and sponsorships, Zagathon has raised more than $180,000 to date.